Heidi Berry (born December 8, 1958) is an American singer-songwriter who recorded for Creation Records and 4AD in the late 1980s and 1990s. 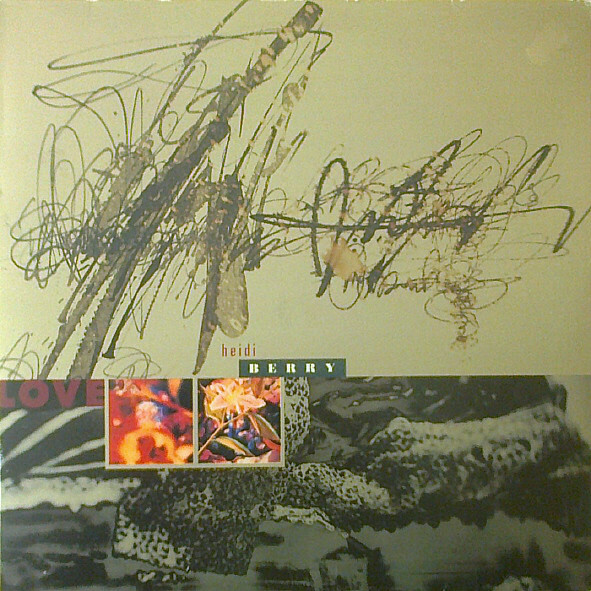 Hooking up with 4AD wasn't the only new move Heidi Berry made with "Love". She also recruited a wide number of musicians to help her flesh out her songs. Christopher Berry again played guitar on most of the tracks; avant-garde saxophonist Lol Coxhill popped up here and there; cellists Martin McCarrick and Audrey Riley similarly stepped in; and Levitation members Terry Bickers and Laurence O'Keefe guested on guitar and bass, respectively. Meanwhile, Berry didn't return to the straightforward pop/rock of "Firefly", instead letting the ghostly arrangements of "Below the Waves" be her guide. Peter Walsh worked behind the boards as engineer, though it sounds like Berry clearly had final say regarding the album's production. A singular example of Berry's talent is her radical reworking of Bob Mould's Hüsker Dü nugget "Up in the Air," which is transformed here into a serene, beautiful reflection on regret; Coxhill's soft sax contributions quietly add to the haunting beauty of the performance. Everything else is written by Berry and performed with the soothing beauty with which she made her name. The one exception is "Cradle," co-written with O'Keefe and featuring only him on heavily produced fretless bass; her overdubbed vocals and the low rings of his bass notes make for a truly affecting song. At points, Berry incorporates a low-key groove into the proceedings, courtesy of percussionist Hossam Ramzy. His work on "Washington Square" and the quietly addictive "Silver Buttons" nicely balances the evanescence of the other tracks. It all concludes with the gorgeous lament "Lily," on which Coxhill's soprano sax and O'Keefe's bass provide elegant support. "Love" still holds a place as one of my all time favorite albums.